Click here for Outpatient Guide. The Department of Child Development team of over 100 staff comprising doctors, allied health professionals, nursing and administrative staff offers specialist diagnostic and intervention services for children with developmental or behavioral difficulties. We provide services to more than 3000 new cases of preschool children per year. Children who are diagnosed with such problems at the hospital are followed-up at our community intervention centers where multidisciplinary early intervention and transdisciplinary services are provided. Children needing long term intervention services are referred to appropriate community services to help them develop and integrate into the community. The department also runs a comprehensive outreach programme, partnering with preschools. 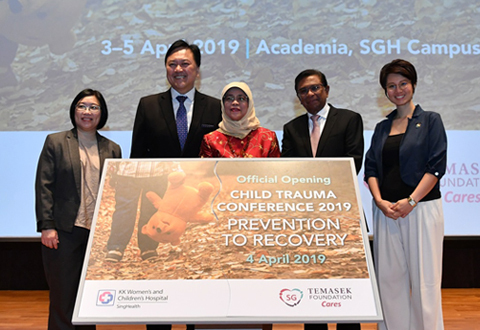 Ministries of Family and Social Development and Education and philanthropic organisations to bring early intervention to the classroom for children with developmental needs. Inter-disciplinary and Trans-disciplinary Intervention services which include speech and language therapy, Occupational therapy, literacy intervention.